A beach getaway is always a welcome idea to detox from the stress of city life. So when a friend vouched the idea of a vacation that involved just that, I was eager to go. 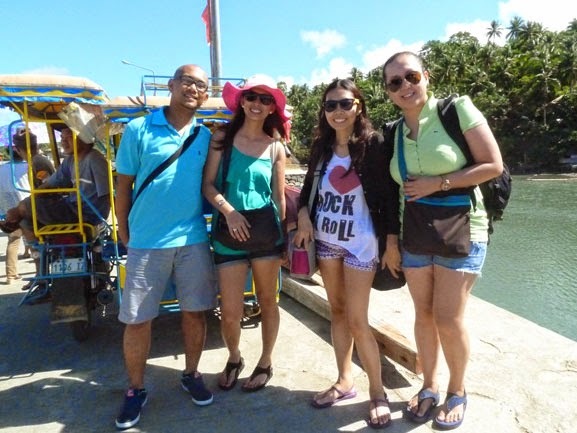 We finally arrived at the port in Caramoan. 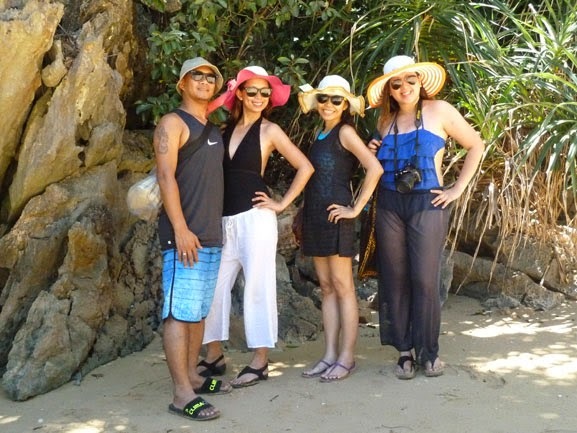 But this was not just another beach getaway as we soon found out. We saw lots of beaches and experienced much, much more. 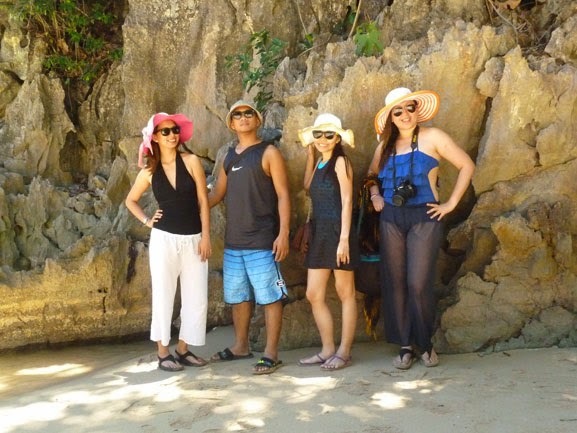 It was a long but fun-filled 3 days that we spent in Caramoan. 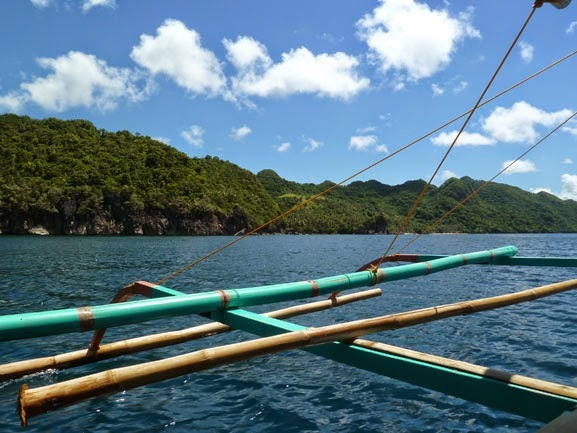 We spent almost a day for travel time from Manila to Caramoan and from there to our next destination. The travel time was an adventure in itself as it had a lot of memorable highlights, some of them first time experiences for me. We spent a looooong time travelling by bus. We arrived sooooo early in the morning to be shuttled to the next terminal which happened to be a beach. We rode on a motorboat for 2 hours before arriving at the pier. We rode on a tricycle for another hour, finally arriving at our inn. We were confused as to whether to eat breakfast or lunch as we arrived too late for the latter and too early for the former. We were too tired to hit the beach immediately as we did at other times when we visited a beach. 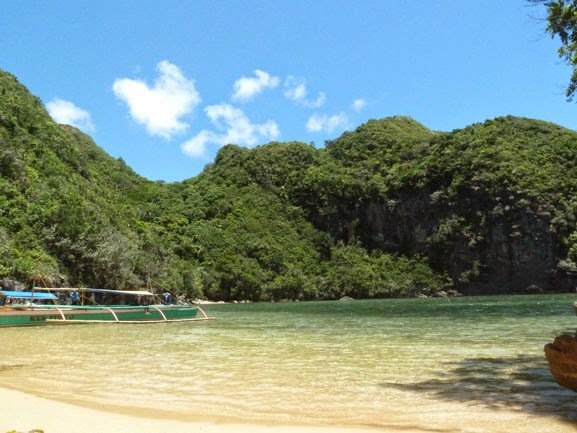 The motorboat ride from Sabang Port to Caramoan was only 2 hours but it felt longer and made us really sleepy. Maybe because we traveled early in the morning when it was cooler. Maybe it was because the sight and sound of the salt water making splashes every now and then on the bamboo rafters of our boat as we glided along was so relaxing to the senses despite the bit of gloominess lent by the overcast skies. 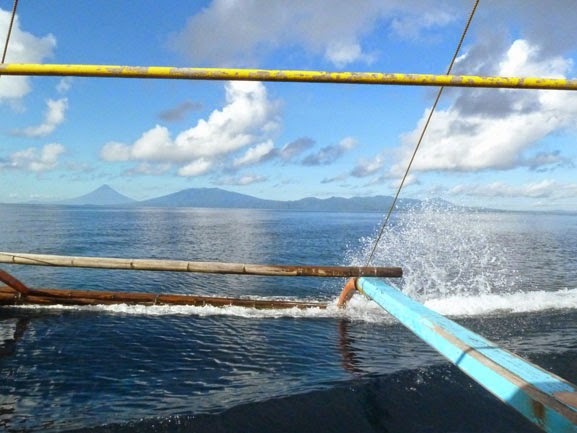 View of Mayon and the sea on our motorboat ride to Caramoan. When we finally arrived at our inn, got our luggage settled in and had some food in our systems, we were ready for adventure. We visited 3 islands on the first day, just half a day really so we were quite exhausted by the end of the day. But prancing around for photos and lots of swimming gave us good appetites for a candle-lit dinner. (Because electricity was not stable in the island, they had to make do with candles.) All the exercise made for a good night's sleep. 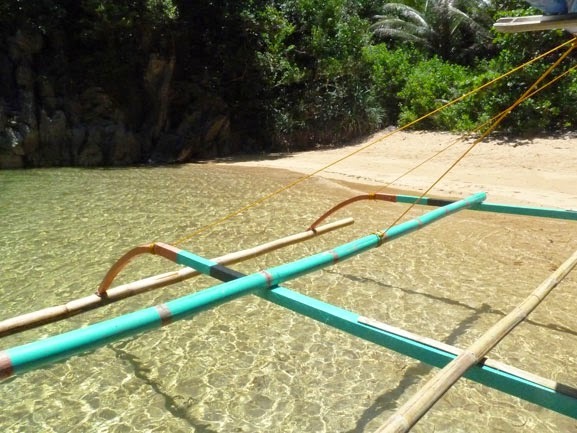 Posing for a souvenir on our first island: Tinago Island. And another pose of course. Below, some of the other shores we visited. On the next one, we ate lunch prepared by our boatmen and tour guides who also functioned as our photographer when we had group pictures. Minalahos island, where we had our lunch. 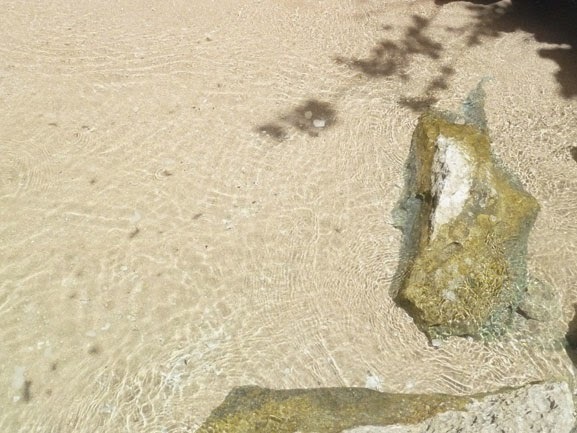 The clear water and fine sand of Minalahos island. On our way to our third and last island for the day. 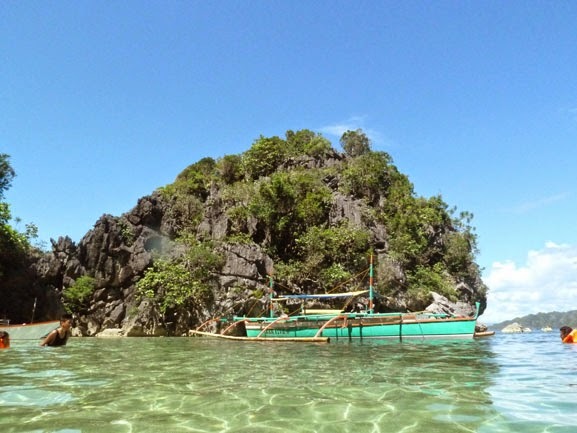 A big rock formation which encloses one side of the entrance to Sabitang Laya Island. Almost everyone we met on this island was friendly and helpful and gave honest tips on what to do best to move forward with our goals for this trip. Our van driver had good stories to tell, the motorboat crew didn't talk much but it was obvious that they were an organized, efficient and hardworking bunch. The people in the inn who received us were also accommodating even if they were not very talkative and the ambiance of the inn itself was pretty homey despite it's small size. I was glad we had a private bath to ourselves inside our room. What surprised me was that we had air-conditioning as well. I was expecting a fan room but this was a bonus. I noticed though that some of the people we talked to had some initial difficulty answering our question right away. They were really making an effort to speak Tagalog so we could understand them. That was a lot of sun, sea and sand, and meeting new people for the first day, and in just half a day as well. But we we're determined to enjoy even more adventures the next day.